Our client owned a charming home, but needed some home remodeling attention. Though she loved her original kitchen with all its quirky details, she found it completely dysfunctional. She also wanted to bring her washer and dryer into the house, but to retain as much of the original feel as possible. The first thing we did was to template the original classic 20’s trim in the kitchen, setting it aside for future use. 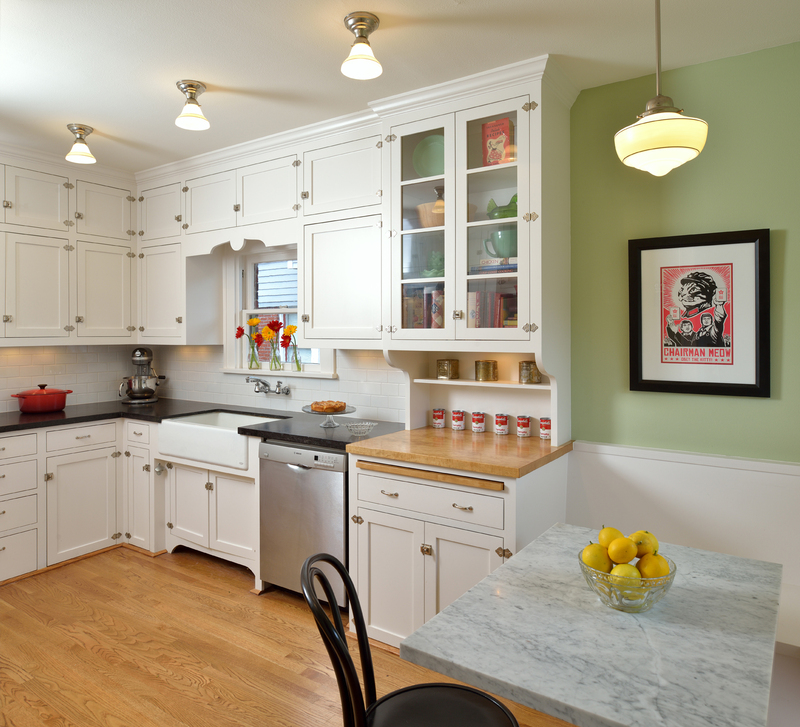 We removed a wall that separated the available space into three smaller spaces and opened up the kitchen to make it feel larger. 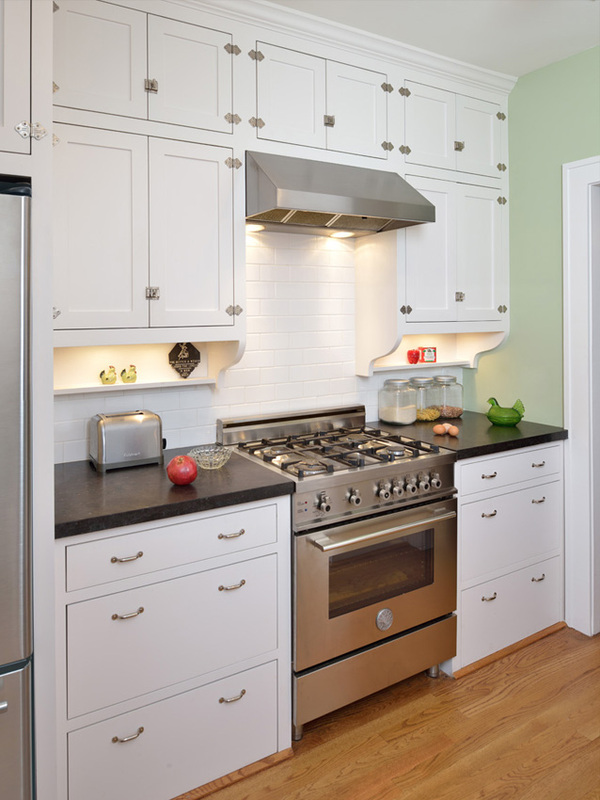 We detailed the cabinets to incorporate as much of the original as possible, using the original trim details and inset doors as well as decorative period hinges and other hardware. We also incorporated some other period elements (pull out cutting board, hutch detailing, and natural wood counters in some parts of the kitchen). A small portion of the available space was allotted to a small mudroom with a built-in washer and dryer. 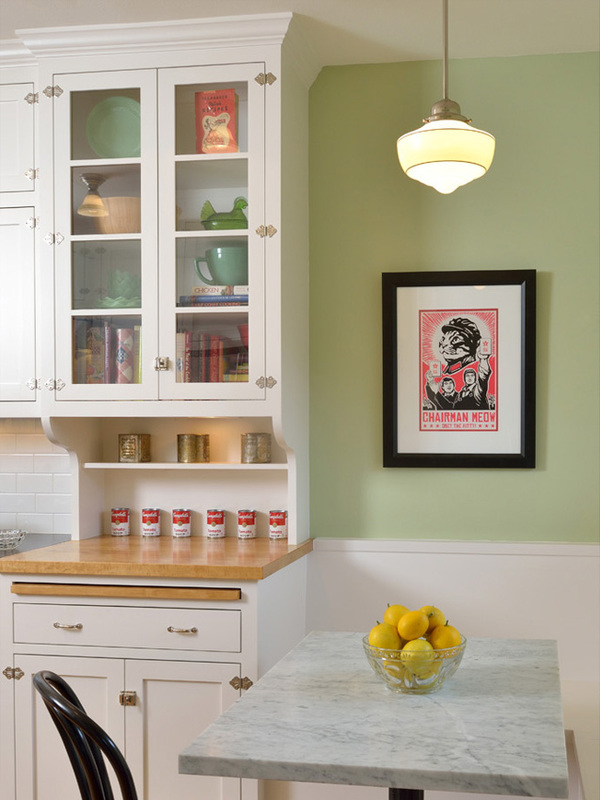 The resulting kitchen feels consonant with the original house, provides more function and comfort for our client, and retains a good deal of its original charm.